Ah, pancakes! Whether made with fruits, or chocolate chips; doused in maple syrup or with peanut butter, pancakes sure are a delicious breakfast food. Unfortunately, they lack in the nutritional department. They are high in sugars and fats, but lack luster in many other categories. Luckily, there are variations that taste delicious and are contain a variety of beneficial nutrients. 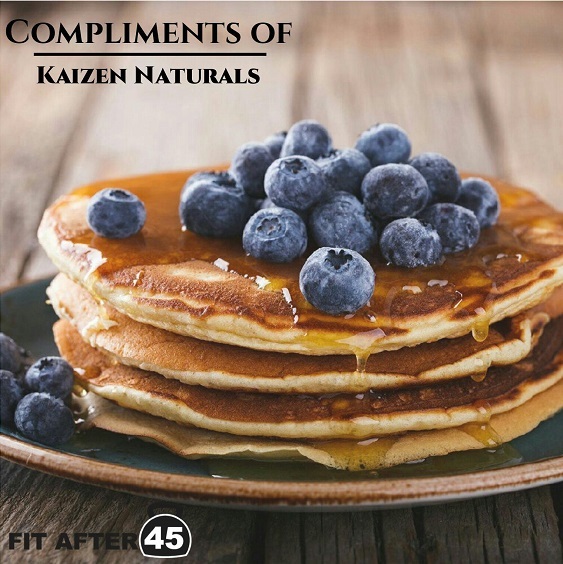 These protein pancakes by Kaizen are loaded with, you guessed it, protein! They are definitely a better alternative to regular pancakes and they are pretty simple to make too. Whisk all ingredients together in a small mixing bowl. Heat skillet over medium heat with coconut oil. Drop 1/3 cup portions onto skillet. When bubbles appear throughout pancake, it is ready to flip. Once fully cooked, remove from pan and top with desired toppings. Feel free to play around with the toppings. You can you various fruits if you want to change it up! Almond butter and yogurt are also great (and healthy) alternatives. Since day one, Kaizen Naturals® has provided consumers with safe, effective products that are easy to use, and produce measurable results. Kaizen Naturals® products are manufactured under strict quality control standards and product testing and Kaizen Naturals® is proudly manufactured in an NSF and GMP Certified facility. Find out more about Kaizen and their products here!